I love being creative for my own children’s birthday invitations. After we pick a theme for their birthday, I get the kids dressed up in a costume that follow the theme of the birthday, and we create portraits that can be used for custom party invitations. One year, for my daughter, we did a Wizard of Oz themed portrait session complete with red ruby slippers, hair in braids, and on location in a historic village. This particular year, my little guy LOVED Minions. 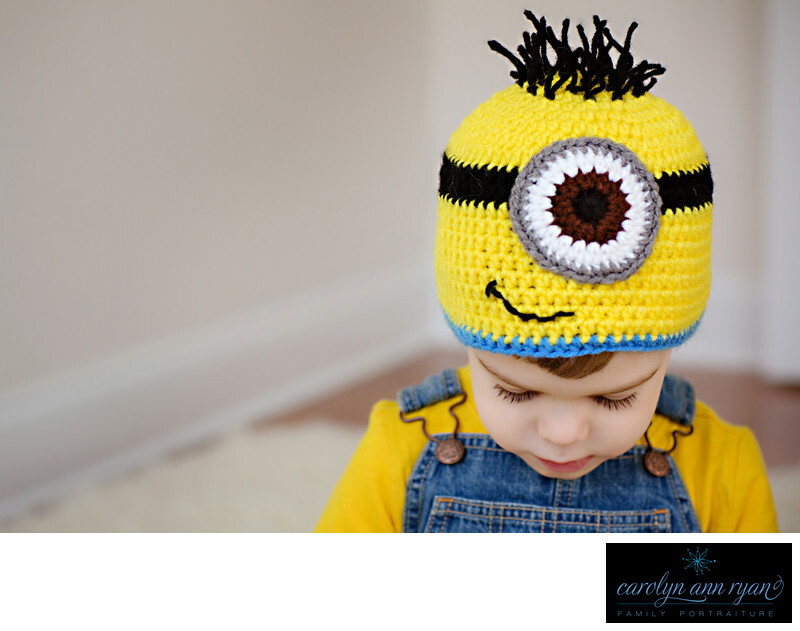 I found this adorable Minion Knit hat on etsy, a pair of overalls from Osh Kosh B’Gosh and a yellow t-shirt from Old Navy. The best part is that we can re-use these costumes for Halloween, so they will get additional use. If you are interested in creating a little fun for your child’s birthday invitations, let me know! I love planning a session around a theme.Keywords: birthday (6), boys (120), child (3), costume (15), denim (72), Halloween (6), invitations (6), Minion (6), overalls (6), yellow (27). 1/125; f/4.0; ISO 250; 85.0 mm.